Friday the 13th. Look out. Kane Hodder might get you. Who? Kane Hodder is the stuntman who is most associated with the role of Jason Vorhees, he played him four times. And Jason Vorhees is name you're probably much more familiar with. Most people just call him Jason. He's the kid who drown at Camp Crystal Lake. His mother went on a murder spree to seek revenge on the camp's counselor staff. She was the cook. 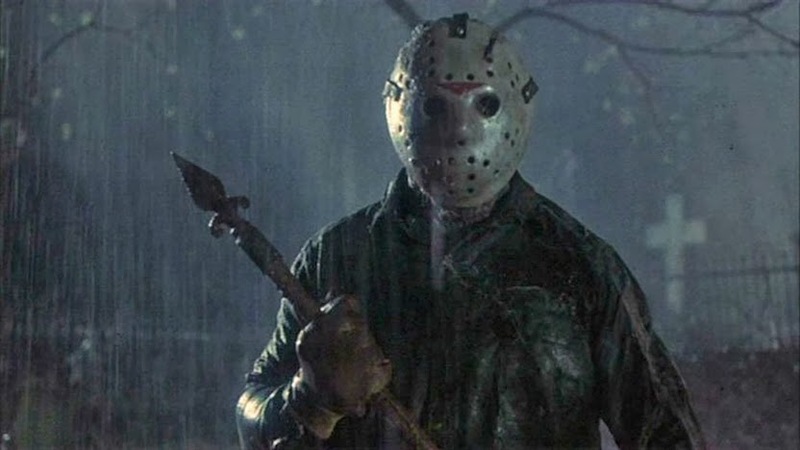 Jason himself doesn't actually show up playing a role until Friday the 13th Part 2. The hockey mask doesn't show up until Part 3. The early versions of the film were certainly formulaic. Young teen counselors are killed off one by one. Jason never actually breaks a walking stride but is able to chase down everyone running for their lives. He can't be killed, etc. However they were among the first and most memorable of that formula which has lived a long, long time. And, most of the good stuff, before it got too crazy and he ended up going to Manhattan or fighting Freddy Kruger was before the 80s even came to a close. Today's bizarro movies like Saw, and others I won't bother watching owe a fair bit of thanks to the Friday the 13th series, along with the Halloween films. Those of you who are in to those films owe it to yourself to check out the original article. Today's Friday Find is quite an original here in both the "New World" as well as the state of Washington. 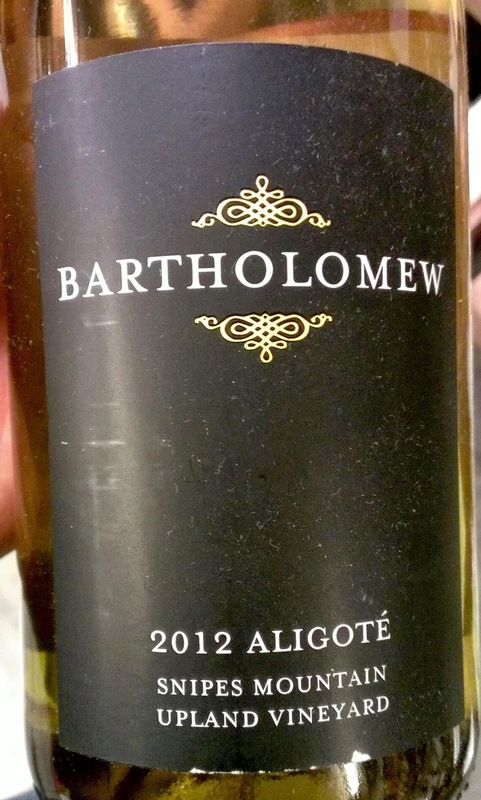 The Bartholomew Winery Aligoté . What's an Aligoté you ask? Good question. Aligoté is a uncommon variety any place, let alone here. It's often thought of as one of the lesser white varieties of Burgundy and can commonly be found planted on what are thought of as lesser vineyards. Far from a leading man or lady, Aligoté shows up in the sparkling Crémant as well as in white blends from the region. As we've found though odd and unique varieties can certainly make for interesting wines in their own right. This is no exception. The Aligoté is super fresh, with tangy stone fruit aromatics, green apple and honeydew. The palate boasts more of that snappy tang. Flavors of early season fresh cut peach and a lively acidity to the finish. Think about pairing it up with oysters or grilled fish, if you're one of those grill in the rain types. That acid will also cut heavier fare so bring a bottle of this to the next holiday meal you're invited to, it'll make the perfect companion to go alongside some well paired reds. You can get this direct from Bart he's in the Old Rainier Brewery building for $19. He'll ship it to you as well. Fun fact for you since you wrote about Friday the 13th. Adrienne King who played Alice Hardy, the girl who survived at the end of the first Friday the 13th movie, used to work at Valley View Winery in Southern Oregon. The winery has a corner in its tasting room dedicated to the movie and has created a Crystal Lake label with Adrienne. The label on the bottles of Crystal Lake Wine is a painting done by Adrienne of her character lying in a canoe on Crystal Lake. Cheers from the Oregon Wine Board. Michelle, I wish your comment had a like button, that is awesome. I thought you might like it. Have a wonderful wine-filled weekend Clive!